Happy 4th of July!! How are you celebrating the holiday? How about with a simple activity that celebrates the women who defend our country and the freedoms with which it comes? It's perfect! I'm crazy happy to share with you today's gift to MommyMaestra readers from my friend, Latina Air Force veteran and children's book author, Graciela Tiscareño-Sato. You probably remember my sharing a review of her new book, Captain Mama's Surprise/La Sorpresa de Capitán Mamá, a few months ago. If you've been waiting patiently for it to be released, then today is THE DAY! You can finally order it on Amazon (my affiliate link) or directly from the publisher. PSST! If you order directly from the publisher, you'll also receive an embroidered patch of the book's cover art! 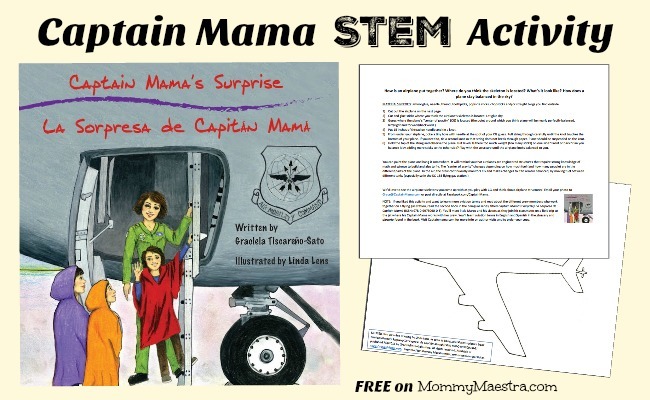 Captain Mama's Surprise is the second book in her bilingual children's picture book series about women and mothers serving in our volunteer armed services. 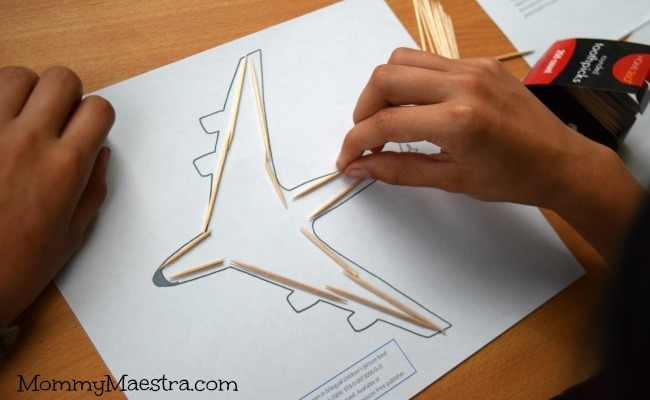 And as I mentioned in my review, this great story includes a STEM activity so students can learn basic aircraft terms and begin to think about airplanes as structural machines that are engineered. My kids had a great time with the activity, carefully thinking about structure and balance. And I'm delighted that the author and publisher has granted me permission to share this download with you! Your kids will love this activity. Be sure to order your copy of the book! It is so FULL of information, you'll be happy you did. I love the activity photo. Thanks Monica!